Nannerch pedestrian gate in Idigbo, Hardwood. 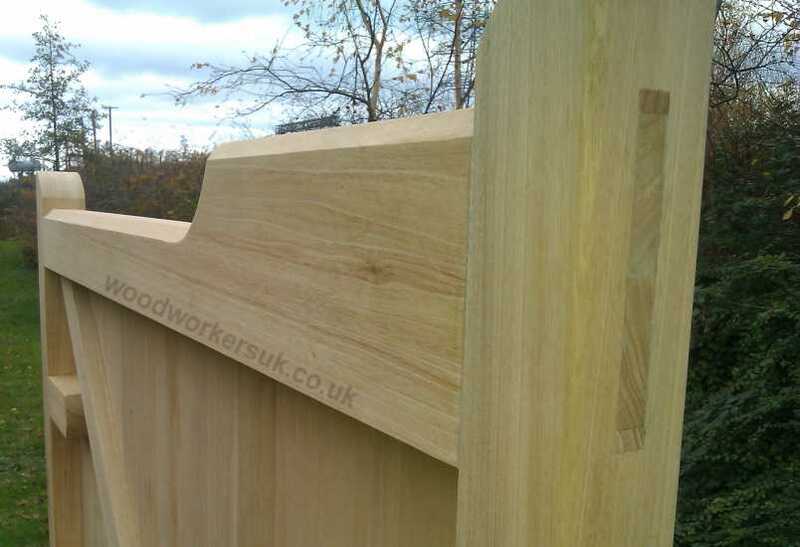 With its distinctive gunstock head, our brand new Nannerch pedestrian gate is available made to measure in the following hardwoods: European Oak, Idigbo, Meranti, Accoya (Modified Softwood) and Unsorted Scandinavian Redwood (Softwood). The stylish Gunstock head features a drop of 2 3/4″ (70mm) from the highest point and offers a different take on our popular curved headed style. The Nannerch pedestrian gate shown is in beautiful Idigbo (Hardwood) and is the close / fully boarded version of the gate, which gives more privacy than the open boarded version, which is also available. This gate will definitely add appeal to any opening around your home. For more information on our open boarded gates, please see open boarded gates. 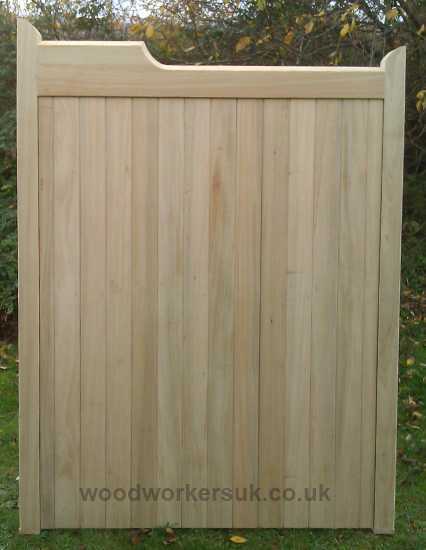 Also available with a matching pair of driveway gates to complete the look! All top edges on any horizontal rails of the Nannerch gate feature an angled water run off, this stops the build up of moisture on your gates and makes for a longer lifespan. The stiles of our Nannerch gate (vertical outer uprights of the gate frame) also have rounded outer edges. 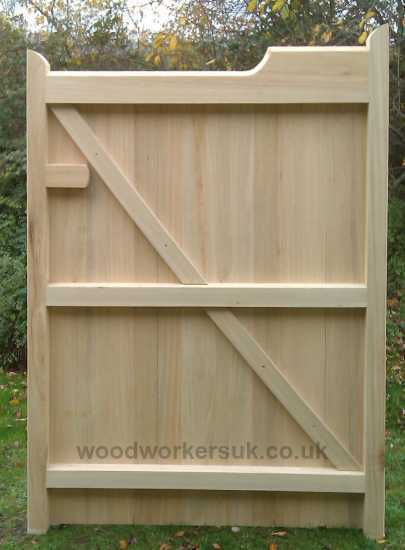 The Nannerch guide prices are based on a gate 6ft high x 3ft overall wide (approx 1830mm high x 915mm wide), these are NOT from prices, smaller gates will be more economical etc – contact us for a price! All prices are correct time of insertion and are EX VAT. Free delivery to most parts of the UK mainland is included – exclusions do apply, again please contact us. To get a personalised costing on our Nannerch pedestrian gunstock gates please use the form below.